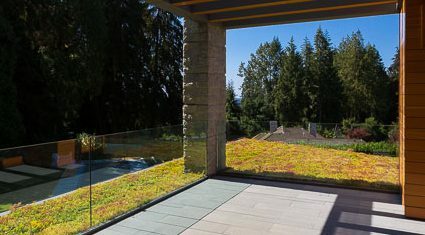 The SpongePaver™ System provides additional stormwater management at the roof level. And, serves as a vegetated-free zone around drains and for fire safety. Stormwater management practices can account for up to 4 LEED points depending on how comprehensive the plan to retain rainfall volumes on-site. 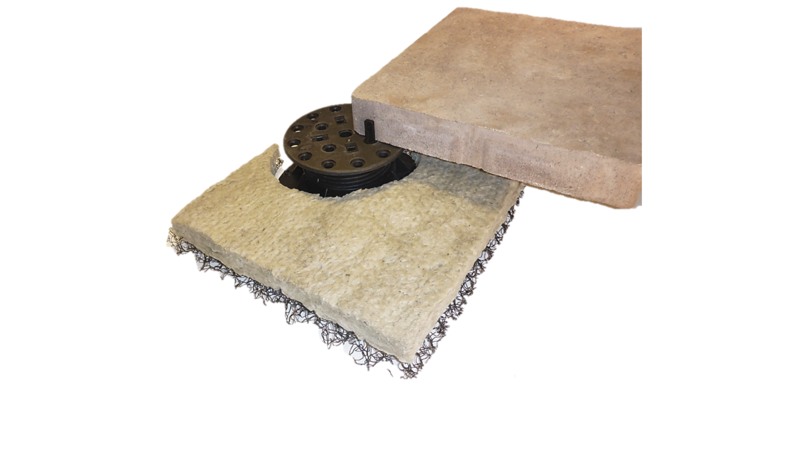 To increase a building’s stormwater management capacity, the SpongePaver™ System is combined with the Needled Mineral Hydro Blanket. 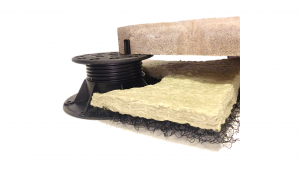 SpongePaver™ System above uses the Needled Mineral Hydro Blanket providing superior stormwater retention up to 25 mm (1″). Needled Mineral Hydro Blanket is made of virgin rock fibre (without binders and phenols) giving it superior water retention. This also helps withstand freeze/thaw cycles and makes for a long life-span. · Volume: Reduce or delay the volume of stormwater that enters the sewer system. · Peak Discharge: Reduce the maximum flow rate into the combined system by decreasing the stormwater volume and lengthening the duration of discharge. This inherently lowers the frequency of combined sewer overflows. · Water Quality: Improve water quality through volume reduction, filtering, and biological and chemical processes. The SpongePaver™ System is low maintenance and easy to install.